The Symbol DS6878 has reached end of life. It has been replaced by the Zebra DS8178. 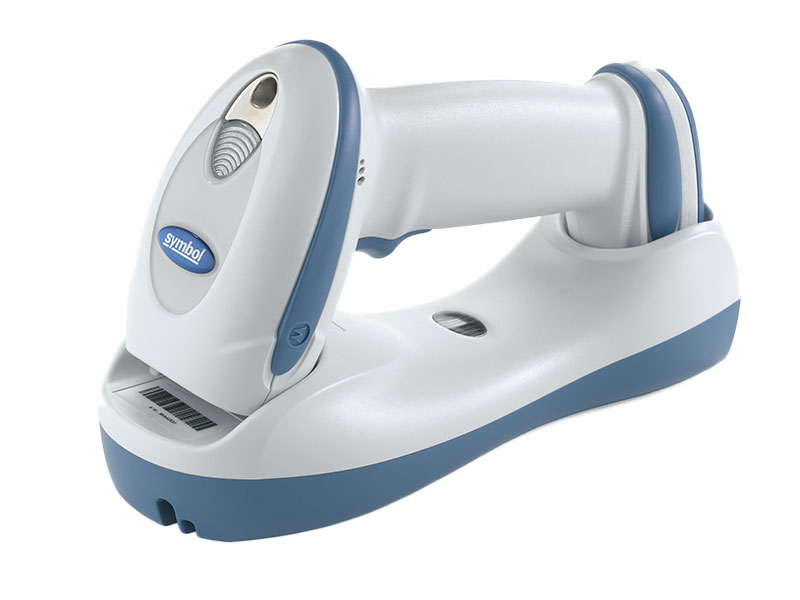 The Symbol DS6878 barcode scanner combines their blockbuster 2D scan engine with Motorola's bluetooth cordless technology, fantastic for businesses needing mobile retail barcode scanning. 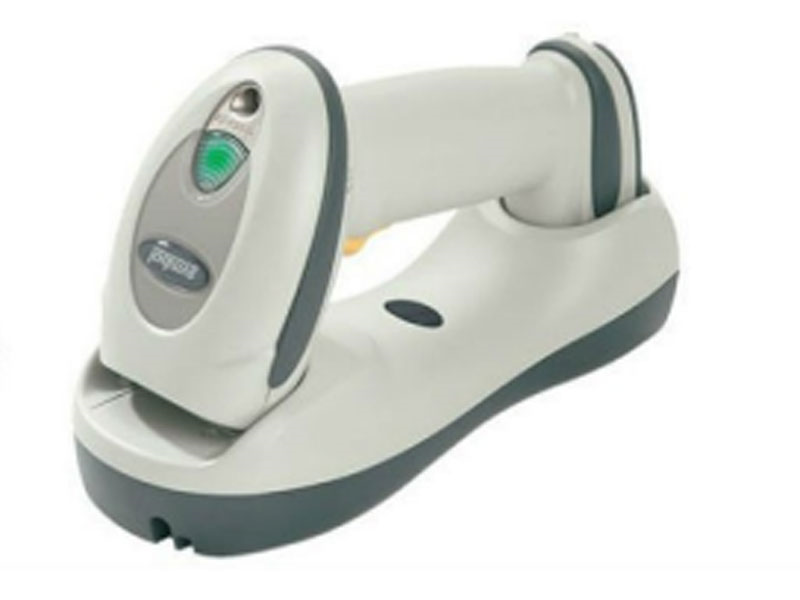 Motorola's SE4500 scan engine powers the DS6878, giving you the power of 2D scanning with the speed of laser scanning and ensuring that no barcode will get past it. A 100" per second motion tolerance holds up to high volume retail or even manufacturing operations. For identity verification, customer loyalty data entry, or even credit card applications, the DS6878 is a great choice. The DS6878 has an optional drivers license parsing model (DS6878-DL), which can be formatted to scan barcodes on state ID cards, sending only the data you need in the order you require. 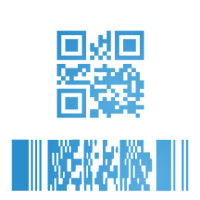 With one scanner, you can turn 10 minutes of error-prone data entry into a single barcode scan. 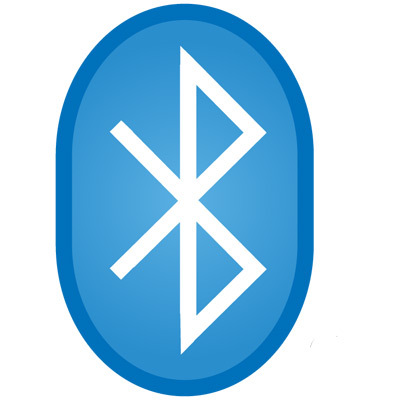 The bluetooth radio in the DS6878 gives you 300 feet of maximum range, the longest of any scanner in its class. You also get a scanner that integrates seamlessly with any Motorola mobile computer or other bluetooth-enabled device, extending the range of your workforce tremendously. Combine the DS6878-DL with a laptop or mobile computer, and you now have a mobile credit card application platform at your fingertips. 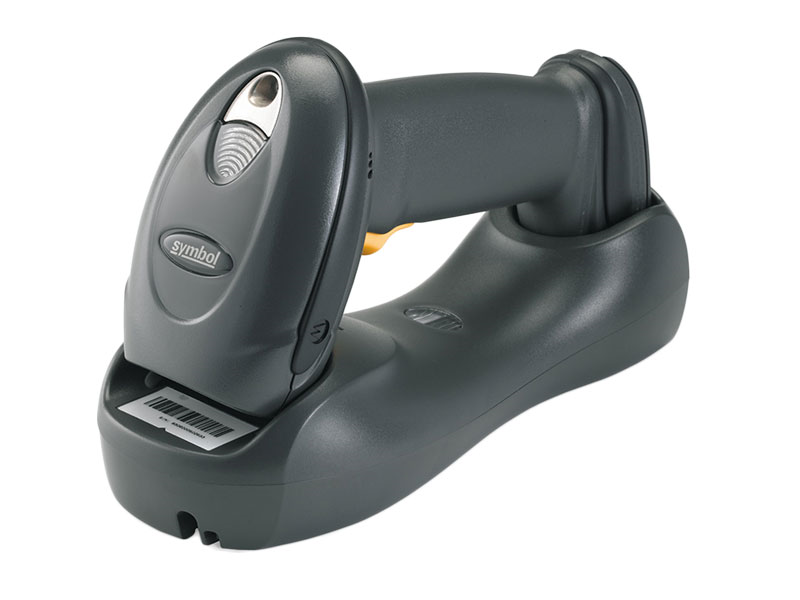 Symbol designed the DS6878 to survive even rough retail environments, making it a great lower-cost alternative to heavy industrial barcode scanners. The DS6878 withstands drops of 6 feet to concrete, extending the lifespan dramatically over other cordless imagers. And with an IP43 seal to keep out dirt and water, this scanner is a great fit for garden centers or warehouse wholesalers. When you add in a 3-year warranty and optional extended coverage, the Symbol DS6878 is a fantastic investment. Typical Depth of Field Code 39 5 mil 0.5 - 6.3 in. Code 128 10 mil - 8.0 in. 100% UPC 13 mil 0.7 - 11 in. PDF 5 mil 1.9 - 3.5 in. Why is my Wireless scanner no longer holding a charge? Depending on the age of the scanner, you may want to look at replacing the battery. Batteries will have have an average lifespan based on how often its being used. We find that an average of 3-5 years is common for daily use. How can I configure my Zebra scanner to scan all uppercase or lowercase? Find it faster! Click here to compare DS6878 models by feature.